Above: Rusts and browns from Chanel and Tom Ford. On a side note, this biography of Jean Seberg is magnificent. I recently felt inspired to do a makeup look that is antithetical to the typical summer beauty fare (e.g., bronzed skin, bold, watercolor eyes and bright, tropical lips); motivated by the subdued plums and rusts of my favorite season (fall, of course), I curated some key products (none of which are limited edition!) to assist in this aim. Above: Something about this collection of products made me want to keep taking pictures. Above: This mascara is endlessly photogenic, no? Above: The eye look...three products only. Above: Chanel's Illusion d'Ombre in Fatal is a shimmering light plummy brown. Above: Tom Ford Spanish Pink + Tom Ford Vanilla Suede on the lips for the perfect soft and muted rust. Bottom Line: At times, it's gratifying to go against the unexpected. Although the colors I worked with for this look may not traditionally be associated with a summertime aesthetic, I am convinced that their light application still keeps this look relaxed and warm-weather appropriate. I hope your weekend is off to a marvelous start...good things ahead on BP! **Some PR samples provided for review (the rest bought by me), however, as always, all of my opinions are expressly and unequivocally my own. Tom Ford Spanish Pink still rocks and part of my all time fav TF lippies. Looks really pretty! I love the cheeks and your eyes looks so feline greenish. Suits you very well. Very pretty look. I'm with Wendy; the rules no longer apply. Or at least I refuse to follow them! Pretty, flattering makeup should be worn anywhere and anytime one feels like it. 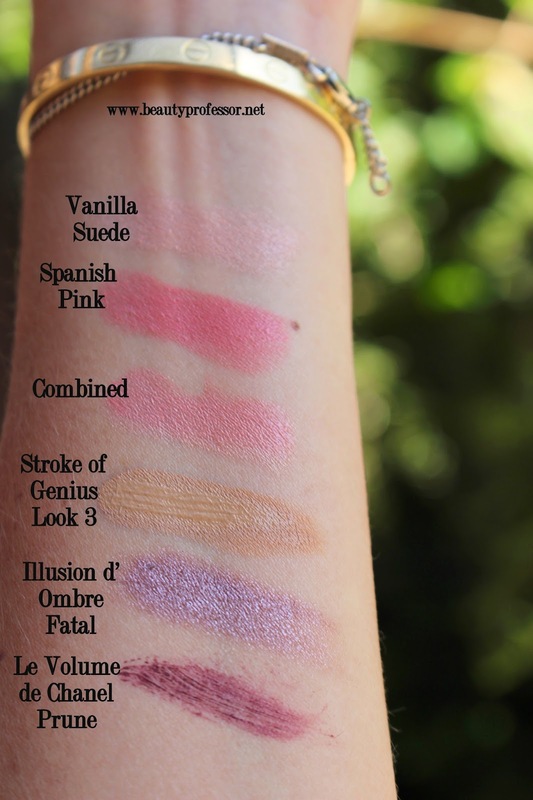 Let's start a beauty revolution: no more "seasonally appropriate" colors.....just great makeup!! Your philosophy is ever so well-stated and I wholeheartedly concur ; ) I am on board with you and Wendy for the beauty revolution...here's to embracing flattering and pretty looks! The look you created is gorgeous and fresh and light. The photo of the products you used is beautiful, they all look very luxurious. Glad we're all on the same page here! Thank you so much for the kind compliments on my images! I love your look -must go and get the Chanel in Fatal -it looks sooo great with green eyes. I have been following you for a while, but never commented on here. I adore you and love reading your blog and find all your reviews so helpful and insightful -and we share a love for By Terry, Tom Ford and Omorovicza. I have a question I hope you can help me with. I live in Denmark where we do not have access to Tom Ford makeup yet, and have decided to purchase the Tom Ford Foundation stick on-line, but am a little unsure of which color to go for. 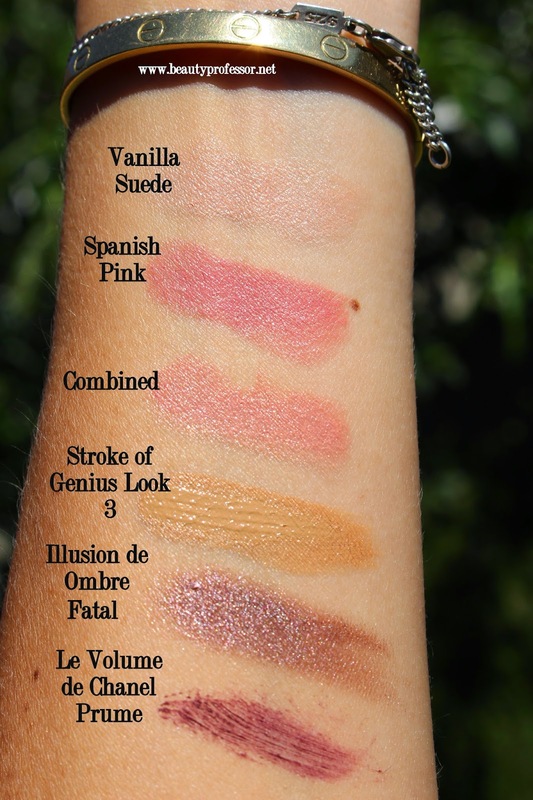 I am a mix between By Terry Sheer Expert #3 (Winter) and #8 (summer), and am contemplating the TF Stick in #5 natural -but will this be totally off? When I look at your review I can see that the TF in #5 draws slightly lighter that your BT cover expert in #9 -which leads me to think that the TF #5 would be quite similar to my BT sheer expert #8 (which is slightly cooler than the BT cover expert in #9) -but do you reckon I should go lighter and get #3 in Fawn? Sorry for this question I know you are not a TF salesperson -I just really like your view and believe that you have a really good notion of the colors and products, so any ideas you might have I value. Thank you again for such a great blog. Thank you!! Yes, Fatal is such a gem to wear with lighter eyes and I've seen it look brilliant on brown eyes, too! With regards to your question, I would say that the TF Foundation Stick is lighter and more yellow than the BT Cover Expert #9 and closer to #7 (thought a bit darker than #7) and #8 (most similar to this shade, though a touch more yellow beige). I think that #3 Fawn will likely be too light for you as I wear the BT Cover Expert in #7, #8 and #9 over the course of the year and the TF #5 is my most perfect match...I can warm it up with bronzer in the summer months and in the winter, it still works! Thanks, Blondie!! So excited that you are getting Fatal...can't wait to hear what you think about it!